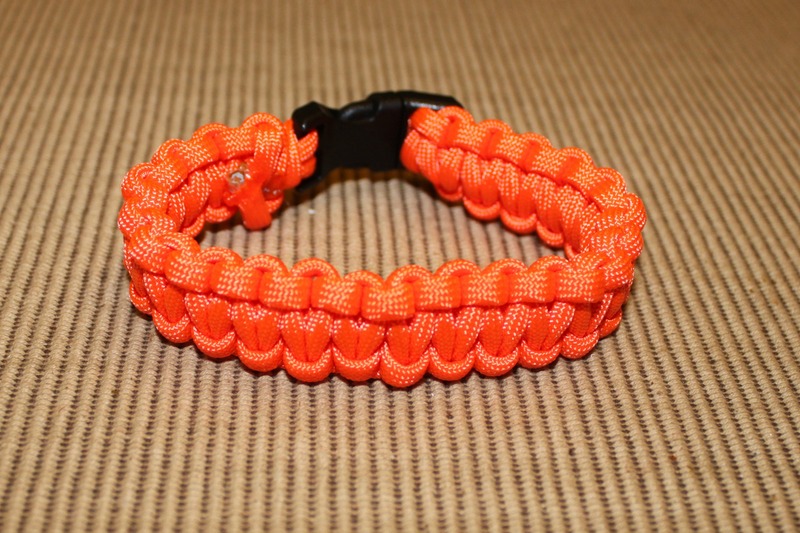 Learn how to make a Paracord Survival Bracelet. Perfect gift for your outdoor enthusiast. While I was making some DIY Cause Bracelets for my friend’s family, I was trying to figure out what to make my friend’s husband when I stumbled across some paracord survival bracelets. I searched all over for directions and styles that I liked. I ended up on YouTube where I found a video from SurvivingTheCrunch. I’m showing my instructions below with pictures, but I highly recommend checking out the video. 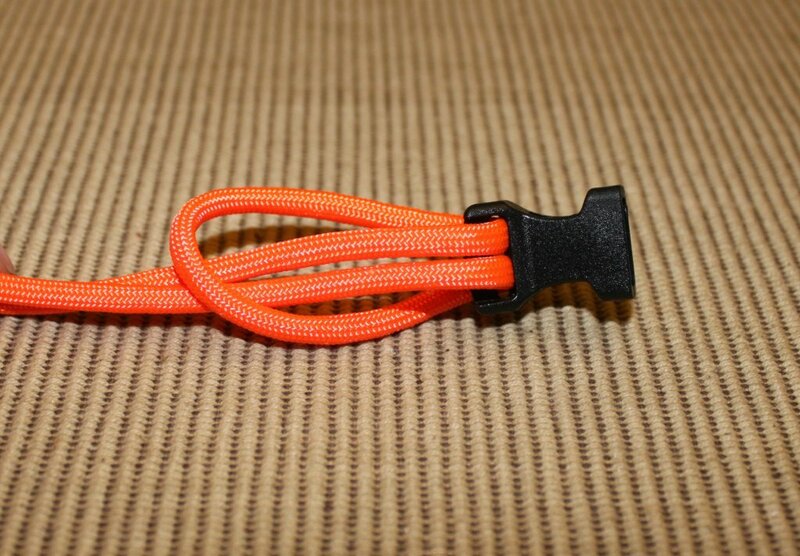 I like that this uses one long parachute cord (8-10 feet), so it does really have some utility if the wearer needed a long cord when doing an outdoor activity. 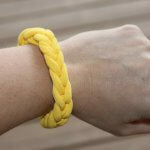 Sizing: Figure out what size bracelet to make and how much paracord you will need. 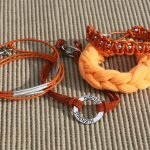 You will use one foot for every inch of your bracelet. I used my husband’s watch as a guide for size and made it about 9 inches, so I needed 9 feet of cord. First thread one end of your cord through the end of one side of your clip. Go up through the end and back down. 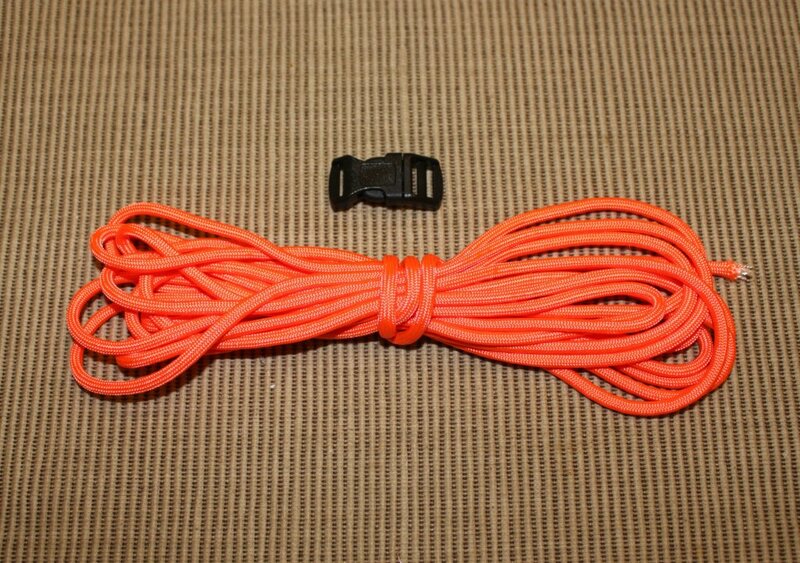 Then even out the ends of the cord so you have half of the cord on each side. 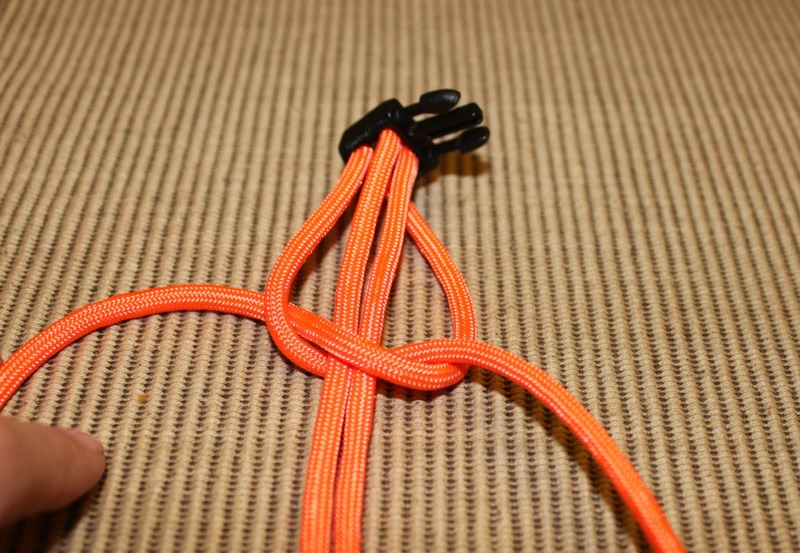 Then pull the ends through the loop and pull it tight. Take the other end of your clip and thread both ends of your cord through it. Mine had a double bar, so I went up through the end closest to the clip and back down through the other side. 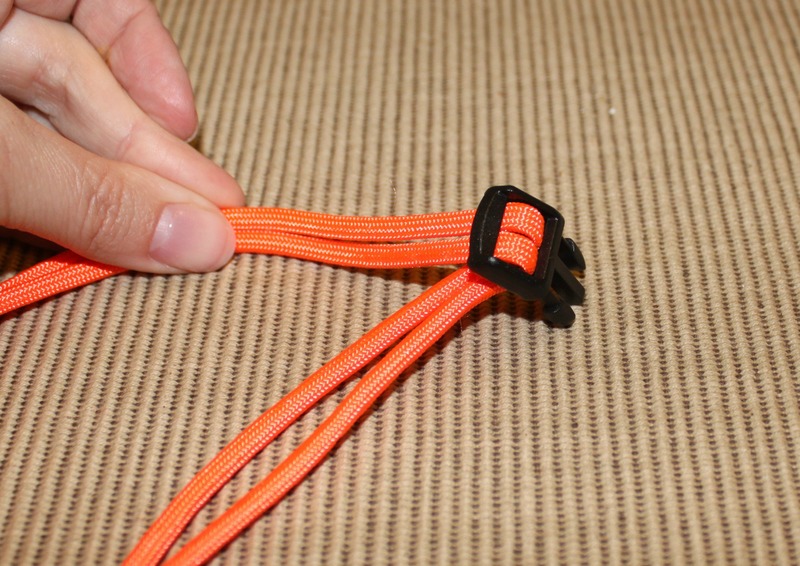 Pull the cord all the way through to make the bracelet the size you want it to be. 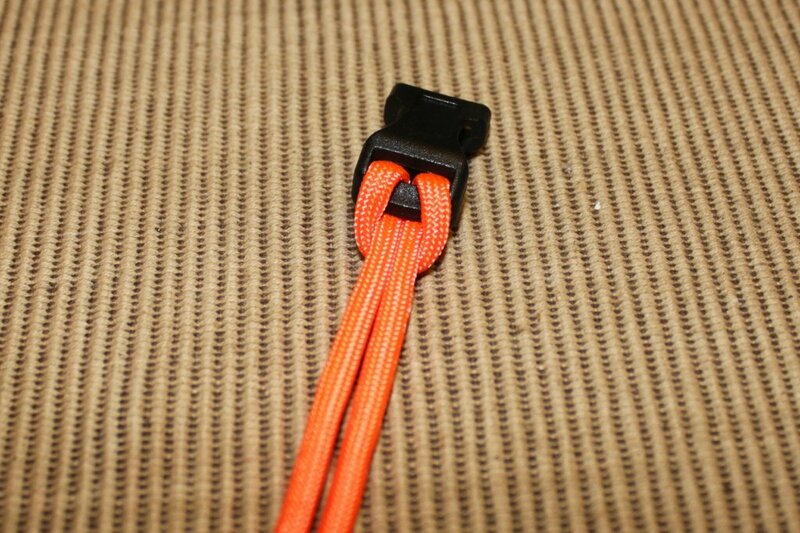 Unhook your clip and put the side with the clip you just threaded at the top. 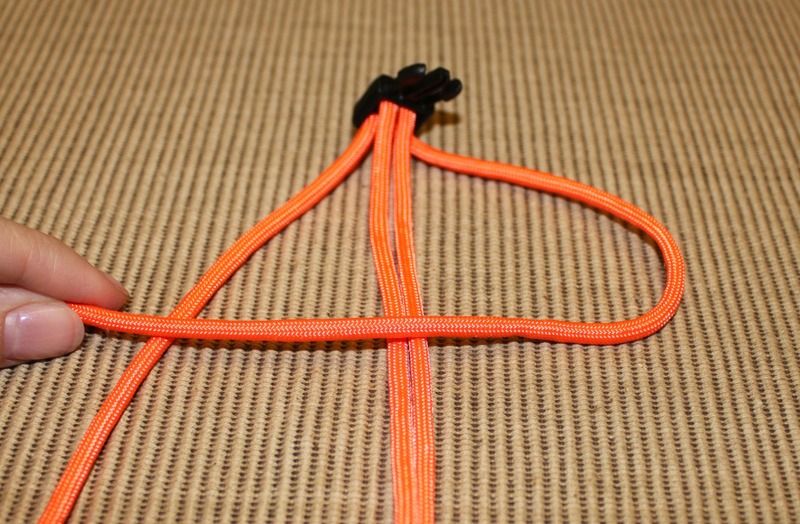 Then take the long cords on the outside with your two center cords being attached to the other clip at the bottom. 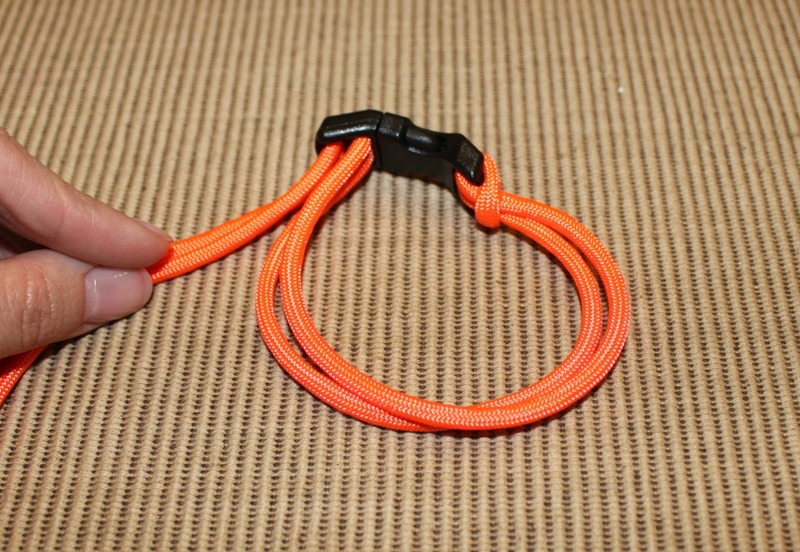 The rest of the bracelet is just a series of cobra knots. Take the cord on the right, make a backwards “L” and go over the top of the two middle cords. Go to the other side and repeat. 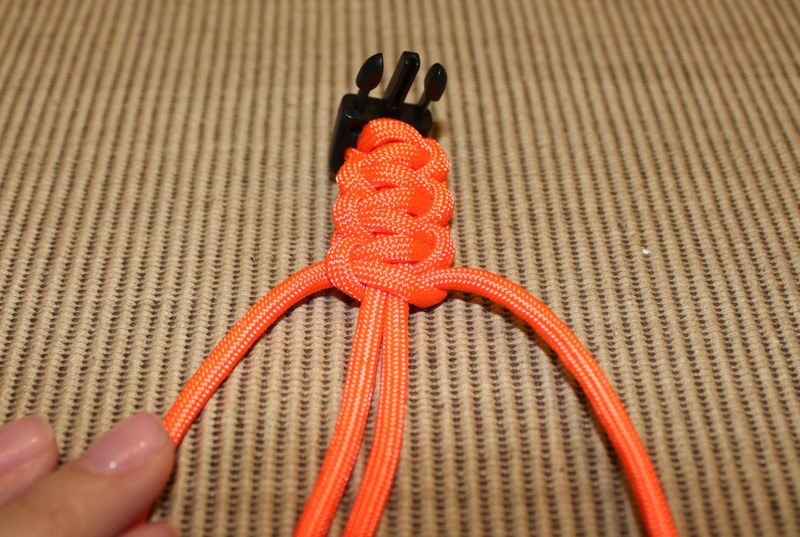 Make an “L” with the left side cord and put the left cord over the center cords. Then take the right cord and go over the one you brought over from the left, underneath the center cords and up through the loop on the left side. Keep repeating, alternating sides. If you do the wrong side, just pull it out and go to the correct side. A tip if you forget where you left off, whichever side has the bump on it is the side you need to be on. This will make sense as you do it a few times. 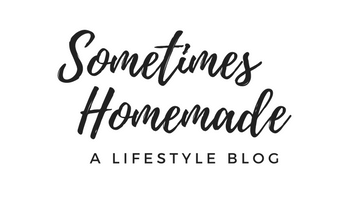 I speak from experience when I say it’s easy to get mixed up on which side you’re on – or maybe I’m the only one whose brain starts to wander during a repetitive task!? Periodically make sure to push your knots up tight towards the top. It should be a very tight weave. Once you get all the way to the bottom and are done weaving your bracelet, cut the ends of each cord with about a half inch left. Fray the end a little bit so the inner white filling is sticking out a little. Take a lighter and melt the end and then hold it down with a piece of heavy cardboard against the inside of your bracelet to “glue” it down. Repeat with the other end. 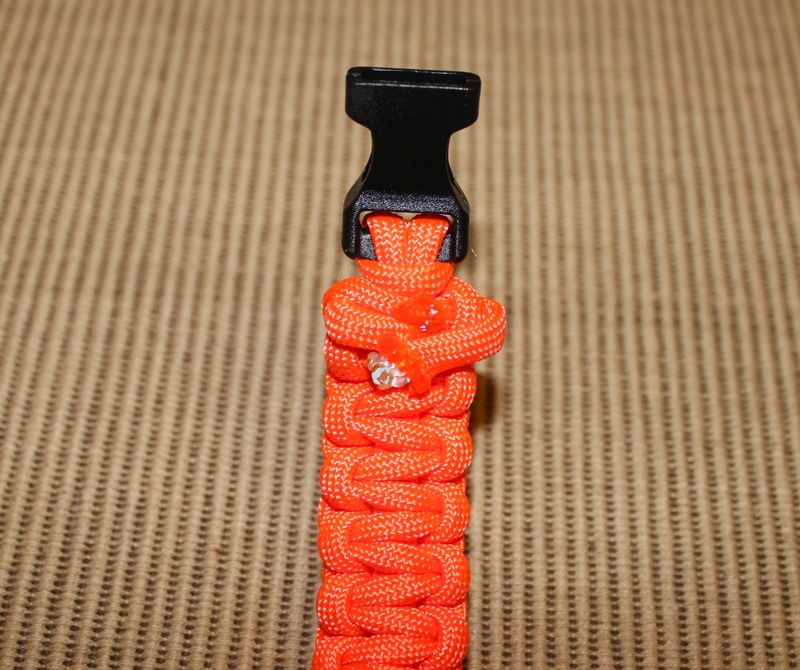 The paracord will shrink a little and fit snugly to the wrist if you wear it in water a few times and let it dry while still on. 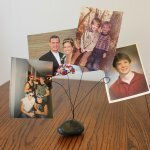 This would make a great Father’s Day gift for an outdoorsy dad! Awesome………..!!!!!!!!!!!!!! Thanks for sharing such a beautiful idea. Wow very cute.. !!!!!!!!!!! Thanks for sharing.